GoToTraining is used for remote training sessions. You can easily integrate it with Aritic PinPoint. 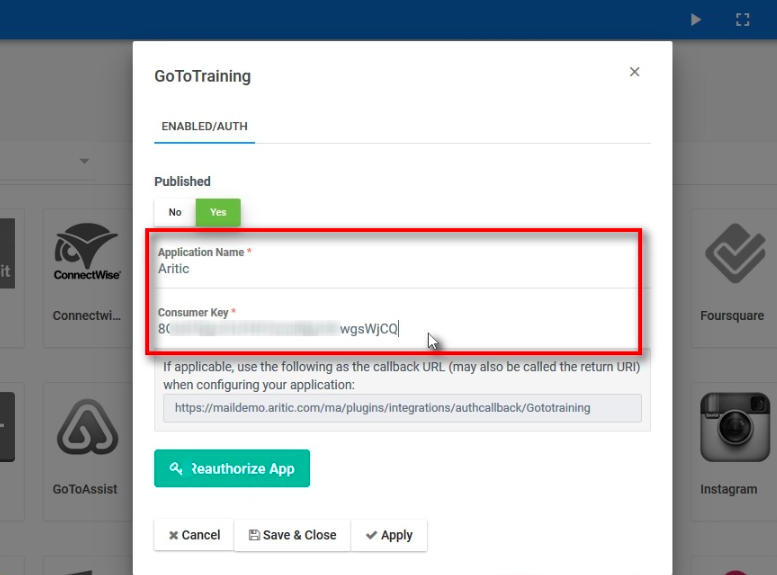 To integrate GoToTraining, you will need to get the Consumer API key. If you know how to get it, you can directly move to the Integration section. 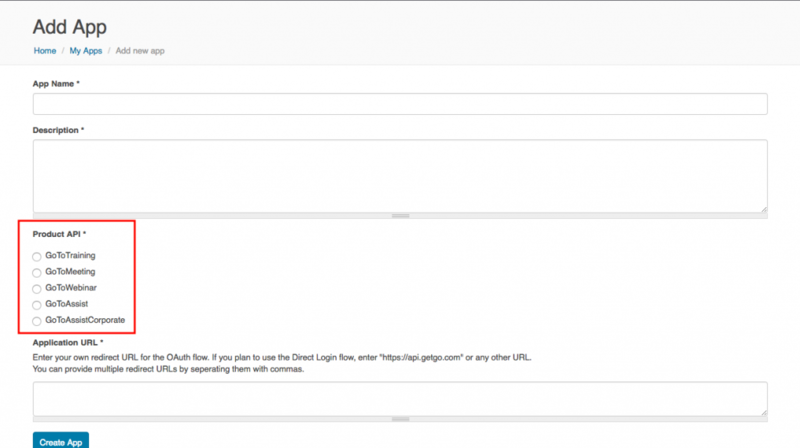 In this guide, we will show you an easy way to get the consumer API key. 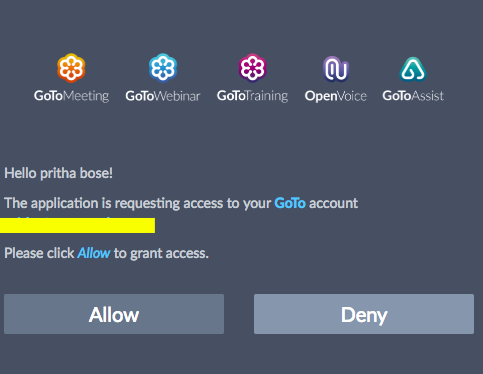 GoToMeeting, GoToWebinar, GoToTraining, and GoToAssist belongs to Citrix developer portal. To get Consumer Keys, you will need to go to the Developer Website and add the apps separately. Prior to that, you will need to register to each of this apps separately. We recommend you use the same email ID on all the three apps. Following are the steps after you have signed up on all these three apps using the same email ID. Go to the Developer Website to get started. You will need to click on Add App after you sign in. GoTo will ask for permission to access. Click on Allow to proceed. You will be redirected to a window as shown below. Enter the required details and also the redirect URL as fit for your brand. Choose the product for which you want to get the consumer API key [Here GoToTraining]. Once you click on Create App, your application is created and is shown in the list on your dashboard. Click on the app (GoToTraining) to get the consumer API and secret key now. Log into your Aritic PinPoint account. On your dashboard, go to Settings > Plugins. Select GoToTraining plugin from the list. Now under the ENABLED/AUTH tab, you can enter your GoToTraining Consumer key. You also have an option to either publish or unpublish it. Click on Authorize App > Apply > Save & Close.